Because WordPress has its own self-contained uploading tools in the Media section of the admin panel, you may not need to upload files manually very often. However, there are times when this may be necessary. For example, you may need to upload a favicon (the small icon next to your web address in a browser). This particular file has to be uploaded to a specific location so you can't use the WordPress Media Uploader for this. Or you may need to upload your verification file for your Google Webmaster Tools account. There are many reasons you may need to manually upload a file. This tutorial will teach you how. Where Are My WordPress Files? It's important to know that your entire WordPress site is stored on your web hosting server in a folder called wp-content. 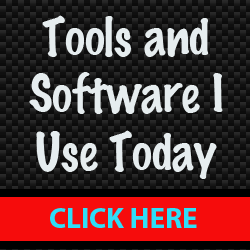 This folder is created for you automatically when you install WordPress and houses your entire WordPress site. 1) Log in to your web hosting account and go to your hosting control panel. There should be a File Manager or something similar that allows you to see all the files on your server. I always go with option #2 and I have a tutorial on how to use an FTP program here. Once you are inside the file manager (or FTP program), if you double-click inside the wp-content folder, you will see another set of files and folders inside. These are the folders and files inside the wp-content folder. Notice the folder called themes. This is where all the files are stored for your current theme that you're using for WordPress. So if you double-click that folder, you will see all the themes you have activated. Here's a working example. When you upload images when writing a post or page in WordPress, it is automatically stored inside the uploads folder which is located inside of wp-content. You can actually click the link and see the image. That's how you know if the file path is correct. Always remember that files are case sensitive. It's important to know how to obtain the proper URL/path for an image because certain online services may ask you to upload files (logos) to your own server, and you'll need to know where they are located and how to call them up with your browser. For example, I use AWeber for my email marketing list management and they ask you for the URL of your site's logo so they can add it to all your confirmation messages. In order for AWeber to retrieve and display the image, it needs to be sitting on your server. Knowing how to upload files and find them is important in cases like this. Another reason you may need to do this if you want to add a banner advertisment on your website. Now you know how to upload the image. For that code to work properly, the image file needs to be uploaded to your server in the location specified. It doesn't matter what folder you upload to, just make sure you get the path right or the image will not display. Of course you would change http://www.linktosite.com to whatever the URL is for the site that links from the banner. When someone tells you to upload a file to the root directory of your web server, that is the lowest directory level of your site. 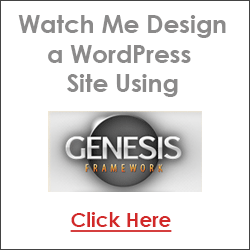 If your WordPress site can be accessed by going to yoursite.com (as opposed to yoursite.com/folder or folder.yoursite.com), that means your WordPress site is installed on the root of your server. So the wp-content folder is located at the root level -- the lowest directory level. 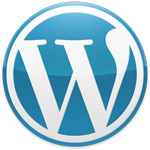 Get more WordPress blogging tips here or learn how to create a WordPress blog.